JACKSON, Miss. 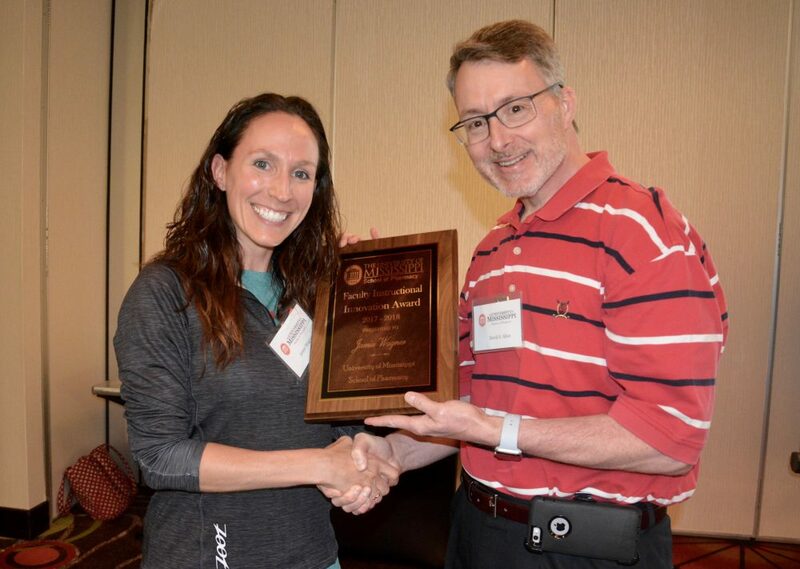 – The University of Mississippi School of Pharmacy presented four faculty and researchers awards for their excellence in and commitment to research, teaching and service at its annual faculty retreat. Jamie Wagner, clinical assistant professor of pharmacy practice, won the Faculty Instructional Innovation Award, given to an honoree that utilizes cutting-edge teaching techniques. Wagner developed a research activity that showed the importance of research in pharmacy practice, while helping students recall and apply skills within a clinically relevant scenario. The Faculty Service Award was given to David Colby, associate professor of medicinal chemistry and research associate professor in the Research Institute of Pharmaceutical Sciences. Colby consistently shows exemplary service to the Department of BioMolecular Sciences, school and profession. He regularly chairs or assists on committees, serves for national organizations, reviews for research journals among many other contributions. 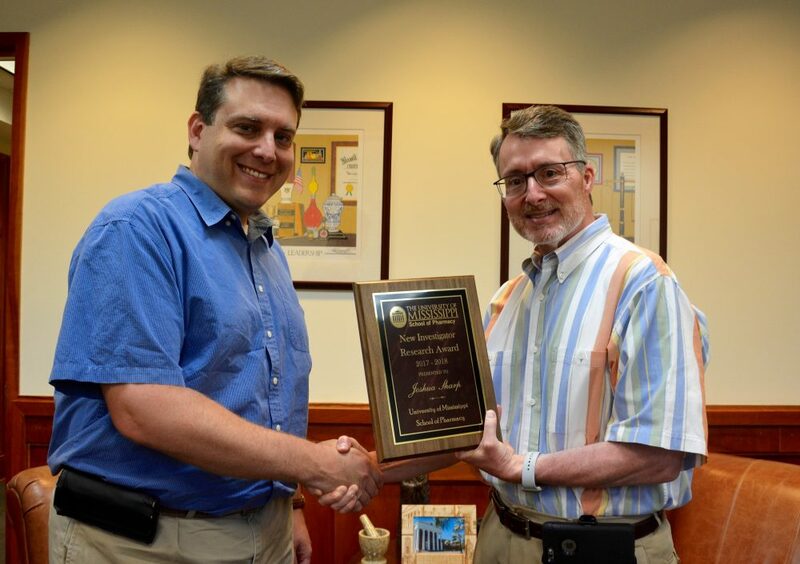 Marc Slattery, professor of pharmacognosy and environmental toxicology and research professor in the Research Institute of Pharmaceutical Sciences, was awarded the Cumberland Pharmaceuticals Incorporated Researcher of the Year Award. Slattery has traveled to well over 30 extreme and remote environments to study chemical ecology and marine biotechnology. He has had nearly continuous funding from numerous agencies, resulting in over $33 million of awards and close to 100 publications since his arrival. 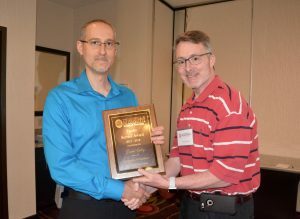 Assistant professor of pharmacology Josh Sharp was presented the New Investigator Award, presented to a faculty member for their contributions to research and the school. Sharp has attained incredible funding in his three years at Ole Miss, including a recent grant from the National Institutes of Health. He is on track to surpass 50 published papers within the next year while his works have been cited over 1,200 times. Melissa Medina, associate dean of assessment and evaluation at the University of Oklahoma College of Pharmacy, served as guest speaker at the retreat, discussing how to enhance student engagement in the classroom.